Already on a "Best Of" List for 2019! Thanks Polygon! Loveville on Playbill! 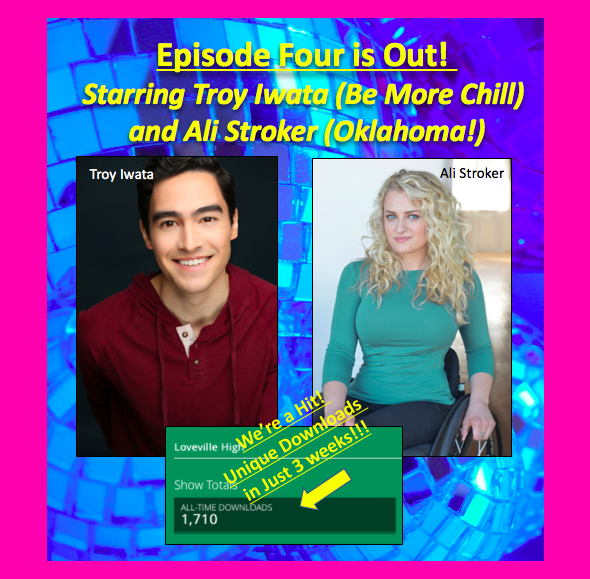 Check It Out for Clips and Announcement of Final Cast Member! 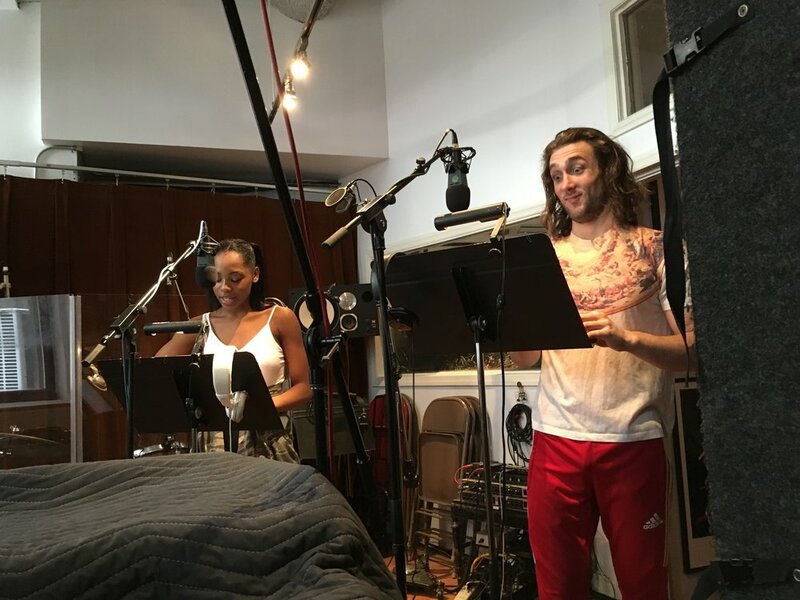 Check out the article for more news and clips from the recording of Episode 7! Final two episodes coming soon! Over 4000 Downloads! Congrats to the Cast of Eps 1-6! 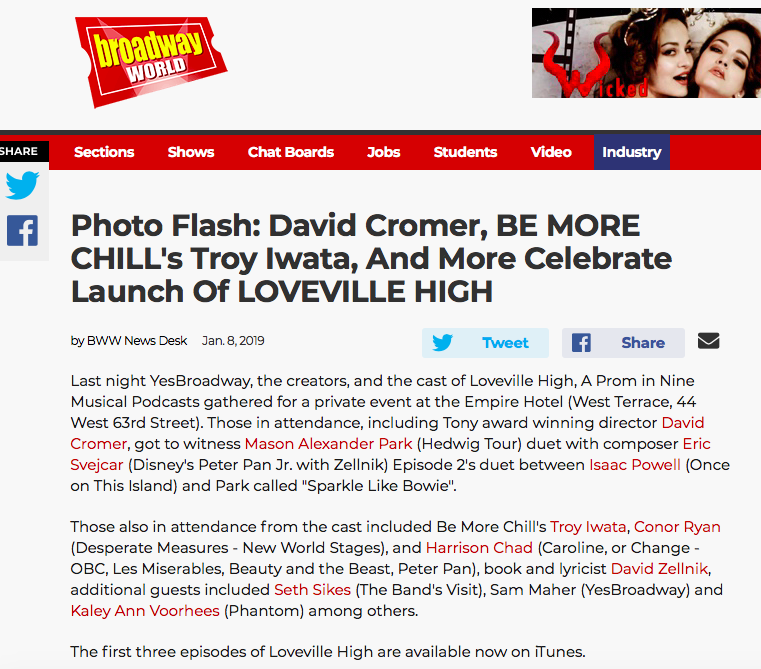 Check out article Broadway World! It was a fabulous night and we were honored that so many people came to celebrate. So excited that the news is finally out! Subscribe now! We’re on iTunes at last - give us a listen! 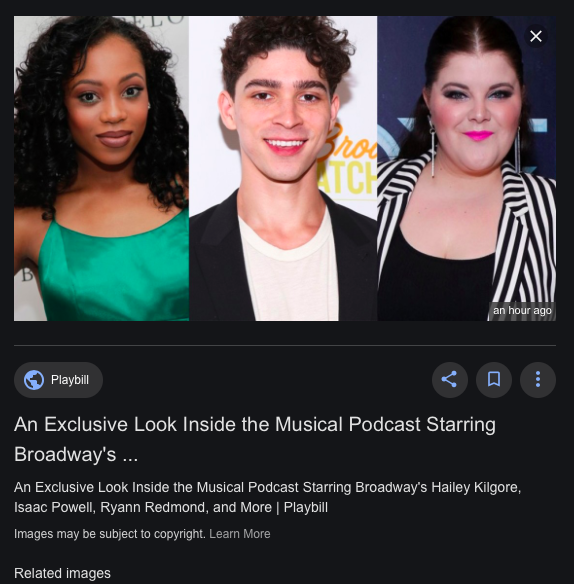 “Loveville High” launches January 7th 2019 with the first three episodes available free a here and on iTunes. Can’t wait for you to hear!